Unauthorized access to personal data and use of such data by third parties are seen as one of the most prominent problems in today's world. In this regard it is important to evaluate data usage and sharing activities of individuals within the framework of the term privacy and to create awareness of the issue in the society. This study aims to reveal perceptions and awareness levels of students who are one of the user groups mostly interacting with the digital environment in their daily lives. In the light of the described aim, students at Hacettepe University Department of Information Management who have the potential to take part in the processes related to the management of personaldata in the institutions as a result of the undergraduate education, are examined. In this regard, a web based questionnaire about personal data privacy perceptions was developed according to literature review. The questionnaire consisting of 34 questions was delivered to 280 students. The survey, which was answered by 151 students, provided findings on students' privacy awareness of personal data. The results illustrate which data are perceived as personal by the students, their lack of awareness about the subject and also point out the kind of measures they took to protect it. Akıncı, A. N. (2017). Avrupa Birliği Genel Veri Koruma Tüzüğü’nün getirdiği yenilikler ve Türk Hukuku bakımından değerlendirilmesi (Çalışma Raporu No. 2968). Ankara: Kalkınma Bakanlığı. http://www.bilgitoplumu.gov.tr/wp-content/uploads/2017/07/AB_Veri_Koruma_Tuzugu.pdf adresinden erişildi. Avrupa Konseyi. (1950). Avrupa insan hakları sözleşmesi. http://www.danistay.gov.tr/upload/avrupainsanhaklarisozlesmesi.pdf adresinden erişildi. Bilgi Edinme Kanunu. (2003). T.C. Resmi Gazete, Sayı: 25269, 24 Ekim 2003. Boyd, D., ve Hargittai, E. (2010). Facebook privacy settings: Who cares? First Monday, 15(8). http://firstmonday.org/ojs/index.php/fm/article/view/3086 adresinden erişildi. Dinev, T., ve Hart, P. (2005). Internet Privacy Concerns and Social Awareness as Determinants of Intention to Transact. International Journal of Electronic Commerce, 10(2), 7-29. https://doi.org/10.2753/JEC1086-4415100201Dwyer, C., Hiltz, S. R., & Passerini, K. (2007). Trust and Privacy Concern Within Social Networking Sites: A Comparison of Facebook and MySpace, 13. AMCIS 2007 Prooceedings içinde (ss.71-110). Keystone: Colorado. Goettke, R., Christiana, J., Prof, P., Smith, M. D., Waldo, D. J., Rosen, D. A., ve Friedman, A. (2007). Privacy and online networking websites. Computer Science 199r: Special Topics in Computer Science Computation and Society içinde (ss.51-70). http://citeseerx.ist.psu.edu/viewdoc/download?doi=10.1.1.92.1380&rep=rep1&type=pdf adresinden erişildi. Govani, T., ve Pashley, H. (2007). Student awareness of the privacy implications when using Facebook. Proceedings of The IEEE - PIEEE içinde. http://lorrie.cranor.org/courses/fa05/tubzhlp.pdf adresinden erişildi. İnsan Hakları Evrensel Beyannamesi. (1949). T.C. Resmi Gazete, Sayı: 7217, 27 Mayıs 2016. Kaya, C. (2011). Avrupa Birliği Veri Koruma Direktifi Ekseninde hassas veriler ve işlenmesi. İstanbul Üniversitesi Hukuk Fakültesi Mecmuası 69 (1), 317-334. Kişisel Verilerin Korunması Kanunu. (2016). T.C. Resmi Gazete, Sayı: 29677, 7 Nisan 2016. Lutz, C., ve Strathoff, P. (2014). Privacy concerns and online behavior – not so paradoxical after all? viewing the privacy paradox through different theoretical lenses (SSRN Scholarly Paper No. ID 2425132). Rochester, NY: Social Science Research Network. 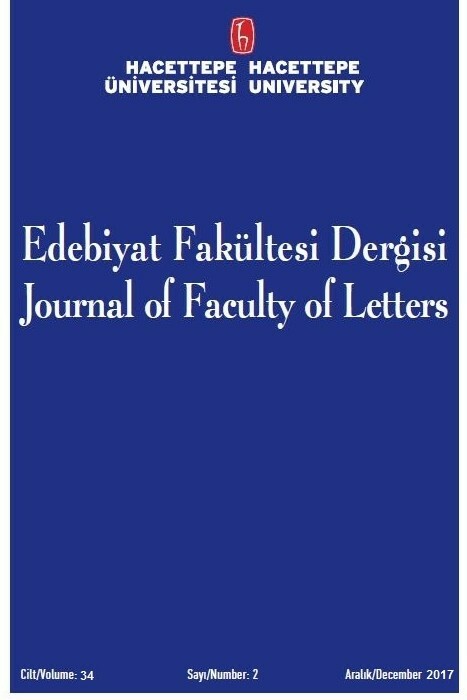 https://papers.ssrn.com/abstract=2425132 adresinden erişildi. Milne, G. R., ve Culnan, M. J. (2004). Strategies for reducing online privacy risks: Why consumers read (or don’t read) online privacy notices. Journal of Interactive Marketing, 18(3), 15-29. https://doi.org/10.1002/dir.20009Milne, G. R., Culnan, M. J., & Greene, H. (2006). A longitudinal assessment of online privacy notice readability. Journal of Public Policy & Marketing, 25(2), 238-249. Miltgen, C. L. (2009). Online consumer privacy concern and willingness to provide personal data on the internet. International Journal of Networking and Virtual Organizations, Indersciences, 6 (6), 574 - 603. OECD. (2013). New data for understanding the human condition: international perspectives. 12 Şubat 2017 tarihinde https://www.oecd.org/sti/sci-tech/new-data-for-understanding-the-human-condition.pdf adresinden erişildi. T.C. Anayasası. (1982). T. C. Resmi Gazete, 17863 (Mükerrer), 9 Kasım 1982. Tuunainen, V., Pitkänen, O., ve Hovi, M. (2009). Users’ Awareness of Privacy on Online Social Networking Sites – Case Facebook. BLED 2009 Proceedings. içinde http://aisel.aisnet.org/bled2009/42 adresinden erişildi. Türk Medeni Kanunu (2001). T. C. Resmi Gazete, 24607, 22 Kasım 2001. Türk Ceza Kanunu (2004). T. C. Resmi Gazete, 5237, 26 Eylül 2004.